My little messenger "ding" went off on my cell phone, telling me another message had come in. It was a friend who was wanting some advice on how to go about painting a little table. Since I'm super pooey at tutorials and strongly dislike trying to explain how to do things because I don't even know what I'm doing half the time, I told her to just bring it over some day and we'd do it together. Now that, is what I call a girl's date! 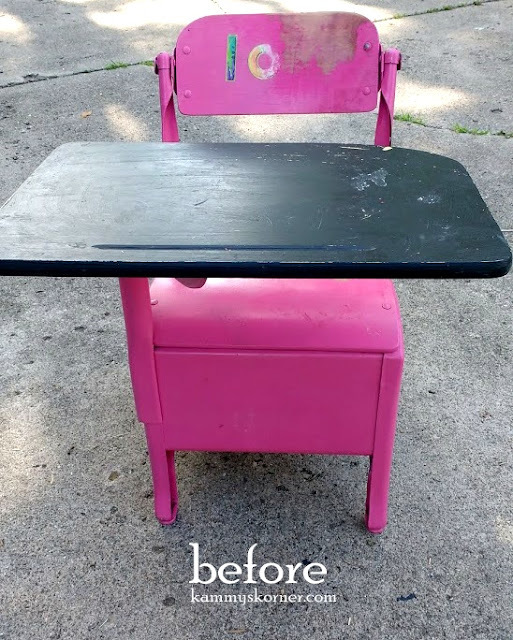 So we set a date -and then another, and another - until we could finally get together and she pulled in my driveway and I was all excited to see the little table (and her, and her cute kids!!) 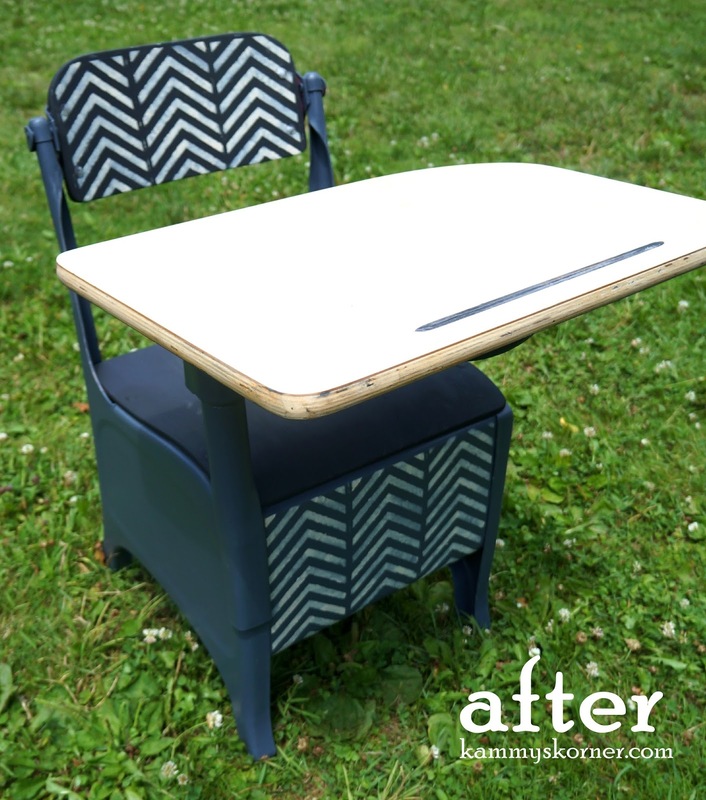 when she pulls out this vintage old desk - complete with hot pink paint, chalkboard paint, and stickers, nooks and crannies, metal and laminate, wood and ohhhhhh the same desk that I have been avoiding redoing in my own workshop! Haha! But hey. Let's do this!! After peeling off stickers and scraping all the chalk board paint off the desk top, we set to making some chalk paint. I can't remember if I used Plaster of Paris or Webpatch 90, but they both work great! Just dissolve a couple spoonfuls in some hot water and add paint. 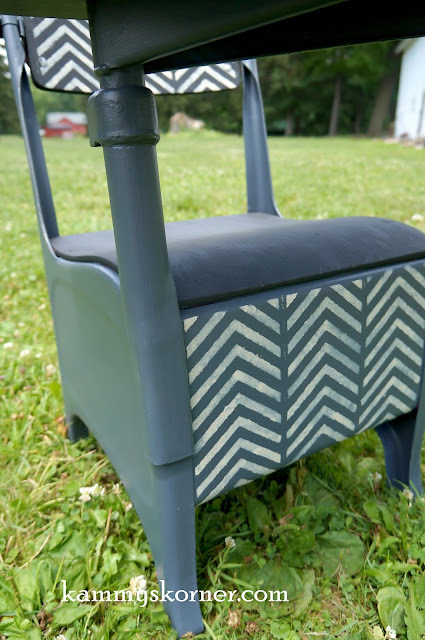 We went with a charcoal gray on the metal and black on the wood. Then we needed to add some pizzazz. 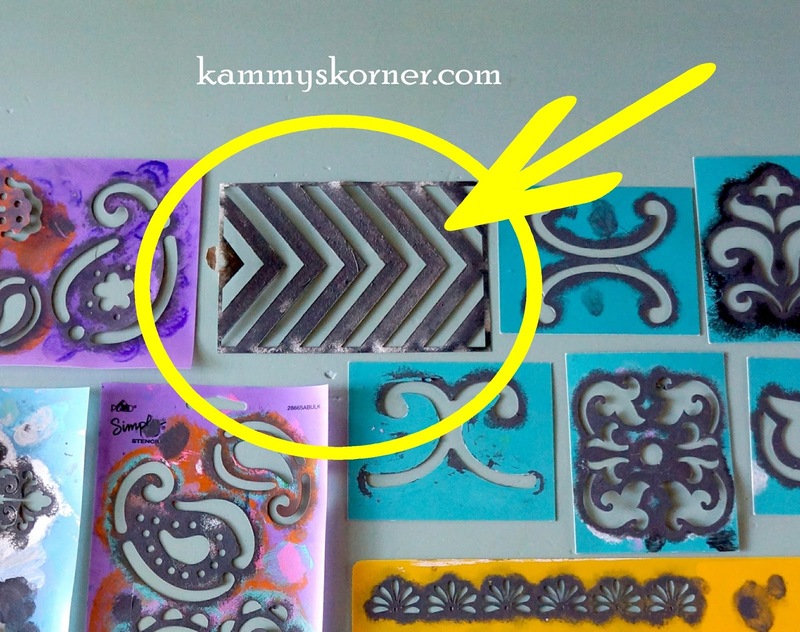 So we went hunting through some of my stencils and AnnMarie decided on this small chevron design. Since we were keeping the laminate desk top in it's original state, we used an off white cream color for the stencil to tie it all together. I absolutely LOVE the outcome of this little desk! And it kind of even made me want to tackle the one that's been sitting in my shop for everrrrrr. I sent her home with some polyurethane to seal it all in good. Well, about enough to do .02% of it since I was almost clean out, but the can told her what to buy at least. Very cute. 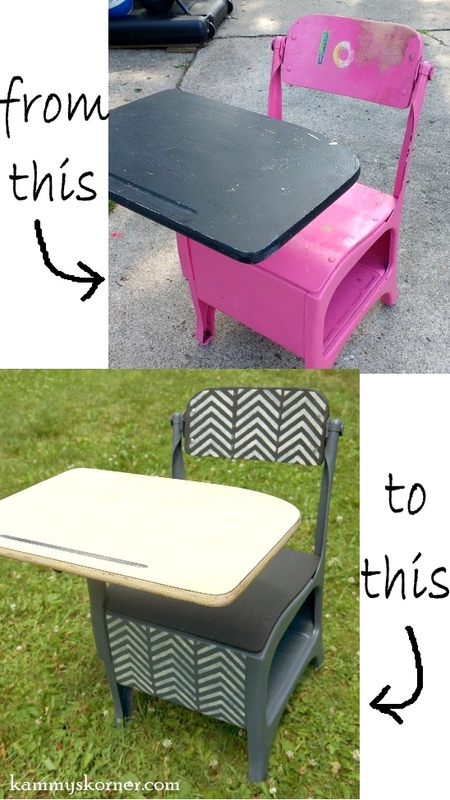 It would be perfect for homeschooling or in the corner of a classroom. Darling. I have a desk just waiting to be done over. Perfect idea for it. Thanks for sharing! Masz niesamowite pomysł, biurko dziecięce wygląda super.